HALL has announced the launch of new experiences at both its St. Helena and Rutherford locations that appeal to a diverse group of visitors to the Napa Valley. From the novice wine drinker to the aficionado, modern art lovers to foodies, locals and jetsetters alike – all will have the opportunity to choose from a list of unparalleled offerings aimed at engaging and educating guests in search of the quintessential wine country experience. At HALL Rutherford, a new private experience titled Appellation Exploration serves as the premier offering. While at HALL St. Helena, located on Hwy 29, we have launched a variety of new public programs. Each St. Helena experience also includes a tasting of sister brand WALT, whose tasting room is located on the Sonoma Plaza. 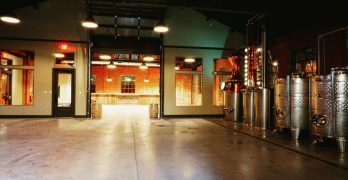 HALL has introduced its most premiere tour and tasting experience set in the hills of Rutherford at its secluded winery. The experience includes a one-of-a-kind appellation wine tasting showcasing the effects of terroir, climate and elevation and a private tour through the acclaimed 100-point Sacrashe vineyard. With a portfolio of great wines from thirteen of the sixteen Napa Valley appellations, HALL is uniquely positioned to offer this experience to guests ranging from novice wine drinkers to experts and critics. By appointment only. $125 per person / $100 for Club and GEMS Members. Enjoy a tasting flight and sample through some of HALLs current releases surrounded by breathtaking views including mountain ranges and vineyards. For groups of 8 or more reservations are required. $30 per person. Embark on our signature tour that takes you a step beyond tasting wine. Learn about our modern architecture juxtaposed with historic old world charm, and our eclectic contemporary art collection, as you stroll the landscaped property and lush gardens. This tour is followed by a private seated tasting. Offered daily on the hour 10am-4pm. $40 per person, 90 min. This exclusive experience is perfect for the serious wine collector and Cabernet Sauvignon lover. Set in the Library Salon, the tasting includes a generous flight of our most highly rated and allocated HALL Cabernets. Offered daily at 11am or by appointment. $100 per person, 60 min. Expand on your winery tour with a guided wine and food pairing experience. Let our wine educator and house chef lead you in an interactive discussion of the fundamentals of creating and enjoying pairings. Offered Saturdays at 12pm. $75 per person, 90 min. A Taste of HALL features a monthly food and wine educational workshop in our Demo Kitchen showcasing culinary techniques while guests enjoy a 3-course meal paired with newly released HALL and WALT wines. This engaging workshop is designed to educate the novice foodie to the culinary-obsessed with farm to table pairings. By appointment only. $150 per class, 120 min. Start your day at HALL with a fun and educational program designed for the novice on the fundamentals of wine. 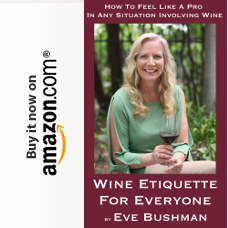 Learn how to read wine labels, why we swirl wine and how to smell, taste and describe wine. Offered daily at 10am. $30 per person, 45 min. Wine tasting is woven throughout this experience that inspires all of the senses. Featuring some of the most influential, internationally acclaimed artists working today such as John Baldessari, Jaume Plensa, Peter Wegner, Nick Cave, Lawrence Argent, Jim Campbell and many others, this tour will nurture your soul and ignite your imagination. Offered Sundays at 11am. $40 per person, 45 min. Stroll the HALL property as the sun sets behind the Mayacama Mountains and Bergfeld Vineyard. The tour concludes on our Ocean View Terrace with a tasting of wines, accompanied by an artisanal cheese board. Offered Fridays at 5:30pm, May – Oct. 31 $50 per person, 90 min. Begin your morning with an exhilarating balloon flight above Napa Valley, topped off by a visit to HALL St. Helena for breakfast and a flight of our current wines. Experience includes a birds eye tour of Napa Valleys majestic mountain ranges and lush vineyard aboard a hot air balloon, freshly prepared artisanal breakfast, juice and coffee served by onsite HALL Chef, Corrie Beezley, and a seated tasting of HALLs current Napa Valley collection wines. Offered Monday-Friday, 6am -10am. 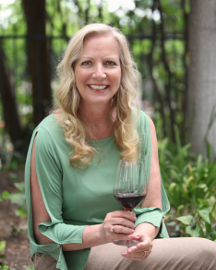 HALL produces critically acclaimed artisan Napa Valley Cabernet Sauvignon, available to taste and buy at two tasting room and winery locations in Napa Valley. Owned by Craig and Kathryn Walt Hall, its vineyard collection features five Certified Organic estates producing classic Bordeaux varietals. Each vintage, Director of Winemaking Steve Leveque crafts 16 distinct Cabernet Sauvignon wines which demonstrate the unique characteristics and diversity of Napa Valley. HALLs highly rated wines include the Napa Valley Cabernet Sauvignon selected as Wine Spectators #18 of the 2010 Top 100, the 2008 Kathryn Hall Cabernet Sauvignon that earned #2 of the Top 100 Wines also in Wine Spectator, and its 2010 Exzellenz awarded 100 points by Robert Parker, Wine Advocate. Since the first vintage in 2002, over 75 HALL wines have been rated 94 points and above. HALL employs high-density plantings and small vine viticulture combined with two cutting-edge, gravity-flow wineries to produce the highest quality wines. HALL St. Helena was the first LEED® Gold Certified Winery in the State of California in 2009 and earned another LEED® Gold certification in 2014 for its high tech production facility and modern tasting room making HALL pioneers in the use of green buildings for the wine industry. Each of HALLs state-of-the-art winemaking facilities and tasting rooms combine modern art and architecture matched with spectacular settings. 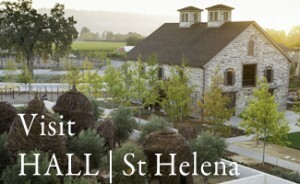 For more information, please visit www.hallwines.com, @hallwines, or by calling 707.967.2626.